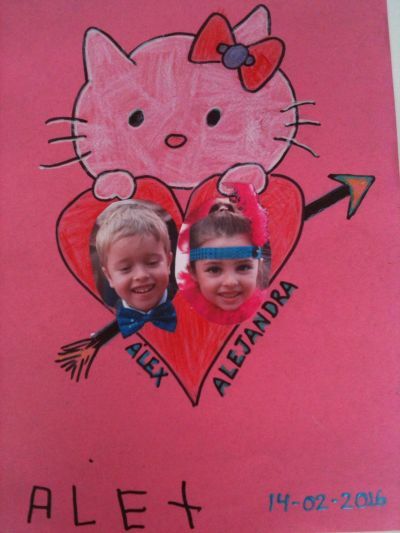 Even though Alex is only four he is already conscious about Valentines day and he had worked hard on a beautiful card for a girl in his class. After lots of coloring, cutting and pasting the result was a very nice card, and after giving it to the girl Alex received a well deserved kiss. Alex was very pleased.